Six years have passed since “Mayhem Maniac Machine” was released, but the sounds of the shots fired out of this very effective, technical death metal weapon are still reverberating in the ear. Now, the Southern Germans prepare their next gunfire: “Dogma Anti God”. The band recorded the nine tracks together with producer Kristian „Kohle“ Kohlmannslehner (Aborted, Benighted) in his Kohlekeller Studio and created an album that is musically more open than its predecessor without losing DEADBORN’s uniqueness and recognition value. This dogma is irrevocable! 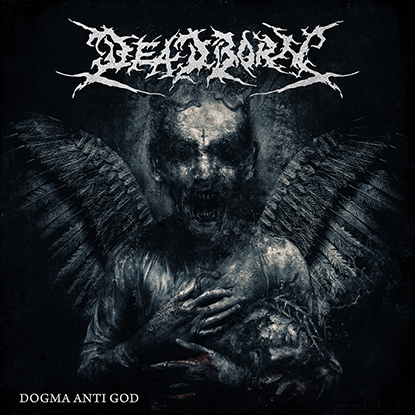 On December 7th, 2018 “Dogma Anti God” will be released via Apostasy Records.